It can’t be denied that the 2018 Range Rover Evoque is a handsome-looking SUV, with hallmark touches of Range Rover’s instantly-recognizable design and a sleek, aerodynamic profile. But its proportions are for more than mere show; they make possible the Evoque’s versatile interior, which provides 20.3 cubic feet of cargo space with the seats up, while providing room enough to comfortably seat up to five. The Evoque Convertible can seat four while providing 8.9 cubic feet of cargo space—enough to easily fit your golf bag. With the 2018 Range Rover Evoque, you benefit from some of the most intelligent driver-assist technologies available in any vehicle today. This includes Full Park Assist, which makes parallel parking a hassle-free (and hands-free) experience, and Adaptive Cruise Control and Traffic Sign Recognition to keep you traveling at just the right pace on the open road. Add in a powered gesture tailgate and Meridian™ sound systems, and you have a utility vehicle that is as smart as it is strong. The 2018 Range Rover Evoque is offered with a plethora of standard and available technologies aimed at providing comfort and confidence to driver and passenger alike. The 2018 Range Rover Evoque is an ideal utility vehicle for your daily work commute and weekend runs to the grocery store, but it offers the potential to do so much more. It starts at the heart, with a new 2.0-liter turbocharged four-cylinder engine mated to a nine-speed automatic transmission, which delivers 236 horsepower or 286 horsepower. This powertrain carries on with All-Terrain Progress Control (ATPC), Range Rover’s state-of-the art, off-road-friendly system that allows you to conquer everything from asphalt to snow with confidence. 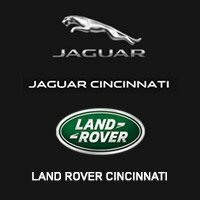 Call 513-791-1000 to learn more about the 2018 Range Rover Evoque.